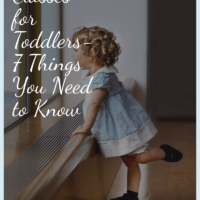 Dance Classes For Toddlers – 7 Things You Need To Know! It’s not too hard to tell that your toddler likes to dance. Girls whom already like to dress up in tulle skirts, frills, ribbons and fancy shoes will sway and twirl to their favorite songs. Boys will often tap their shoes along to the beat or imitate pop routines that they see on tv. However, some questions arise: Is my toddler ready for dance class? What kind of dance is suitable for my little one? What are the benefits of toddler dance class? 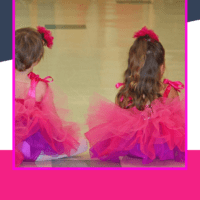 To help you to decide if your toddler is ready and what type of dance is most suitable for your toddler, we have put together a guide detailing the types of classes available. 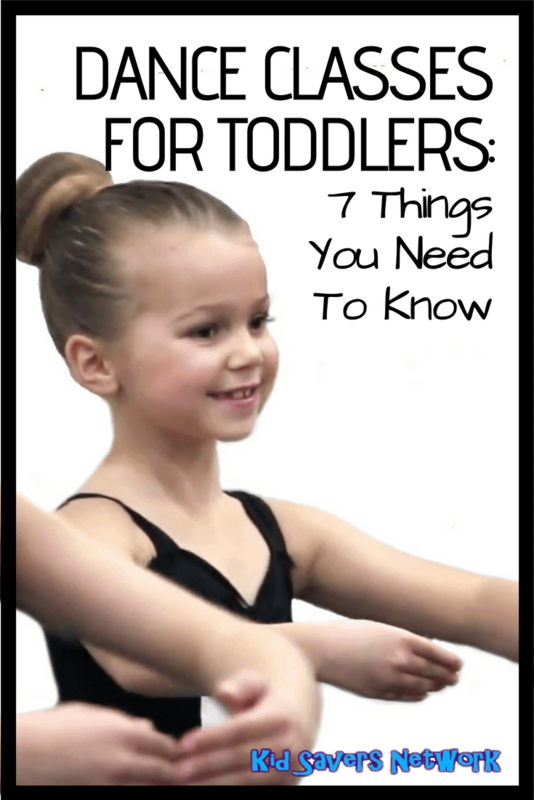 We also answer the most common questions that other parents have had before signing up their toddler for a dance class! 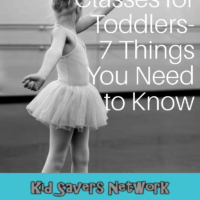 Here are 7 things that you need to know about toddler dance class! 1. Which toddler dance classes are available? 2. What are the benefits of dance classes for toddlers? 3. How do I know if which toddler dance class is right? 4. 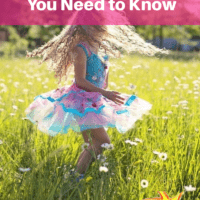 How do I know if my toddler is ready to begin dance class? 5. What is the cost of dance classes? 6. What questions should I be ready to ask the dance instructor? 7. Are there any other options besides studios? 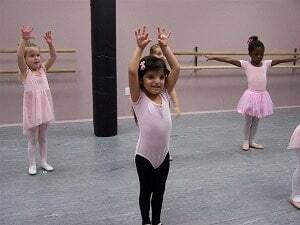 There are different types of dance classes available for your toddler. Each has their own style and technique. To discover which kind your child might be most interested in, show them videos of each class or take them to a nearby studio to watch. You will be able to tell when they see other toddlers dancing which kind they are the most attuned to! A ballet class for toddlers concentrates on ballet techniques as well as balance, grace, and strength. Toddlers will begin to work on posture and body alignment while developing strong muscles. You can begin your child as young as two in most ballet programs. Creative movement is less formal than ballet and is designed to acclimate toddlers to a dance class environment. This kind of class focuses on basic skills such as listening, motor and expressive skills. Creative movement classes also begin with basic steps to several types of dance such as tap, hip hop and ballet, all in a fun way. This can help you to guide the direction to go in when your child becomes a little older. You can begin your toddler in a creative movement class anywhere from 14-months up to two years of age. Hip-hop is all about expression. If your toddler likes to express themselves in a creative way, hip-hop might be a perfect choice. Toddlers will begin with basic, creative moves and progress to more challenging choreography and breakdancing as they get older. Hip-hop also encourages originality so that a child can incorporate their own style and moves into a dance routine. Even a two-year-old can bust out a hip-hop move! Tap includes incorporating sounds with creative movement. Tap is a fun and creative way to let loose. Some studios offer a combination of tap and ballet where the first half of class focuses on tap and the second focuses on ballet. This can help a toddler to discover their favorite type of dance. You can begin your child in tap classes at the age of two. Check out this video of a 2-year-old toddler trying her tap shoes out for the first time. Jazz dance is a mixture of several types of dancing styles. Styles can range from lyrical to contemporary ─ and much more! Exciting music is usually played for jazz, and the movements are expressive and imaginative. Leaps, turns, and high kicks are some of the moves your child will learn. Jazz classes usually begin at the age of four. However, you can jazz builds off of ballet moves so perhaps your child can move on to jazz. The dance instructor will suggest the appropriate time to transition your child to jazz if you choose to go in this direction. Contemporary dance includes modern techniques while incorporating many styles of dance including ballet, lyrical and jazz. It is highly expressive, so it is perfect for children who enjoy dramatically expressing themselves. You can begin your toddler in modern dance at about the age of two, depending on the studio you choose. This video shows that perfectly! Dancing provides social skills, as well as psychological and physical benefits. It is a fun activity for toddlers that works out both the mind and body. Dancing increases fitness levels and helps with better creativity, balance, posture, and flexibility, as well as offering a cultural understanding. Studies have shown that it can contribute to relaxing children and reduces anxiety, depression, and daily stresses. 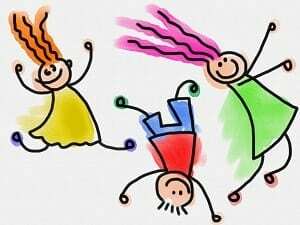 Furthermore, dancing works out the entire body and provides the essential cardiovascular workouts and muscle training that all children require. 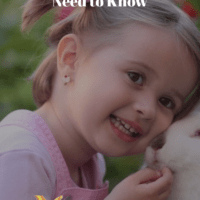 It is important to understand your child’s personality, interests and overall behavior. Do they dance a lot at home? 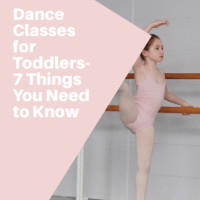 Your toddler might be too young to know about actual classes, but do they express interest in dancing like the young children dance in their shows? Do they like to watch others dance and move along with the beats? 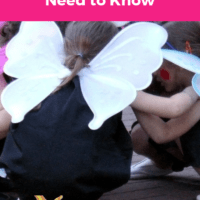 These are all signs that your child will benefit from a dance class. Some studios offer short courses which last about one to two weeks. Enroll your child in one of these short classes to see if it’s a good fit for you both. During the class, observe if your toddler is smiling and having fun with it. This will help you to determine that dance is right for your child. Again, this goes along with understanding your child’s personality, interests and overall behavior. Some toddlers at the age of two might not be ready for a dance class ─ only because they lack the attention span needed to follow the instructions and routines of a class. This is normal as all children develop at their own rates. It can be a good idea to take your toddler to the dance studio and let them watch. Are they paying attention and truly taking heed to what is going on? If so, they should be ready. If they are not paying attention or acting excited about participating, then you might want to wait until they are a little older. Furthermore, you can also ask if the studio offers the short classes and give one or two a try! Prices for dance classes can vary widely depending on where you live, the studio, who the instructors are as well as the class type and length. As for the studio and the instructors, it depends on their competition level and skill level. Some studios will be more expensive than others. Those that compete locally and nationally and have experienced instructors will cost more. The website Howmuchisit.org reports that dance classes commonly cost about $35 to $125 per month and are typically held weekly. Private lessons will cost more than group sessions. Furthermore, you should consider the cost of outfits and shoes. Some studios will have strict policies about what your child wears to class and especially to any competitions that they might compete in. Of course, your child will not be competing at the age of 2, but if they continue with the class and are good at it, this could become a future cost to consider. Be prepared to spend about $40 to $180 on the outfit and $10 to $75 for a pair of dance shoes. Many of your questions can be answered by reviewing the studio’s website. The website will list each class and the instructor for your toddler’s age group. Bios should be included for each instructor, as well as an overall review of the studio and each class. If you still have some questions for the instructor before signing up your toddler, call the studio and ask to set up an appointment. This way, the instructor can set up an adequate time to talk with you and even to meet your toddler. Some questions that you might want to ask are about what techniques they use. Is the class more focused on fun and physical movement, or learning proper techniques right off the bat? Many studios blend in both for children of such a young age, but it is good to ask. The instructor might recommend a particular class for your toddler based on the skill level and techniques used. Sometimes, and in some areas, there are summer dance camps available. You can check for these types of camps in your area at activityhero.com. The good thing about beginning with a summer camp is that they incorporate all kinds of dances throughout the week. It’s a great way to expose your toddler to dance in general and to each kind of dance. In conclusion, there are many benefits to beginning your toddler in a dance class! The key is to find the right time to start your toddler dancing and the right type of dance to begin with!